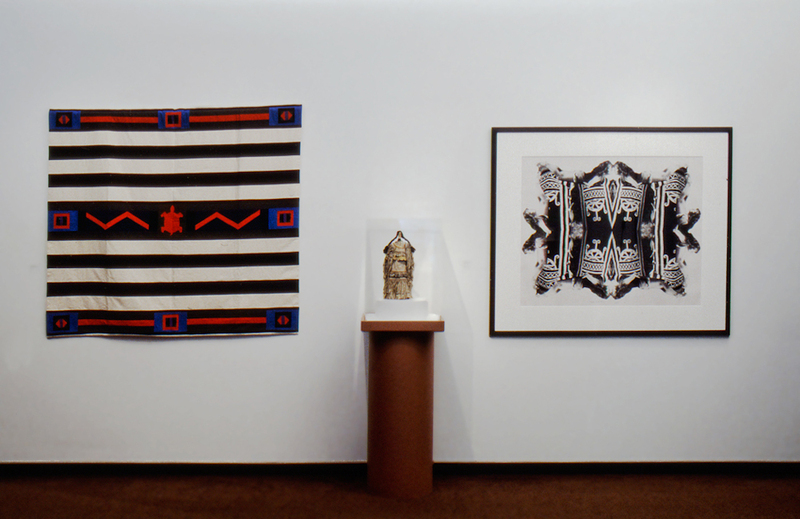 View of the artwork on display in 'Gifts of the Spirit: Works by Nineteenth-Century & Contemporary Native American Artists'; Peabody Essex Museum; November 14, 1996 through May 18, 1997. 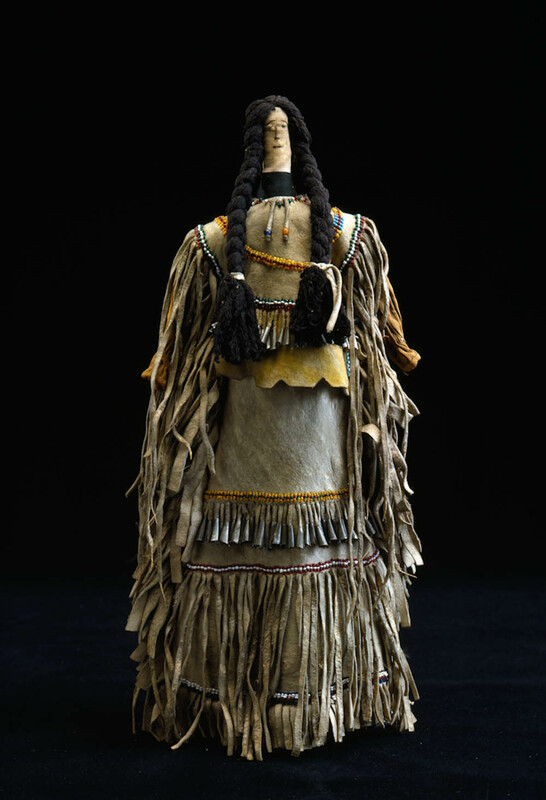 This doll was used to teach young girls about Na'ii'ees, the Sunrise Ceremony, an important rite of passage for Apache girls. Performed the summer after a girl's first menstrual cycle, the four-day ceremony prepared a girl for her social and spiritual role as a woman. Monroe, Dan L., Richard Conn, Richard W. Hill Sr, Suzan Shown Harjo, and John R. Grimes. Gifts of the Spirit: Works by Nineteenth-Century & Contemporary Native American Artists. 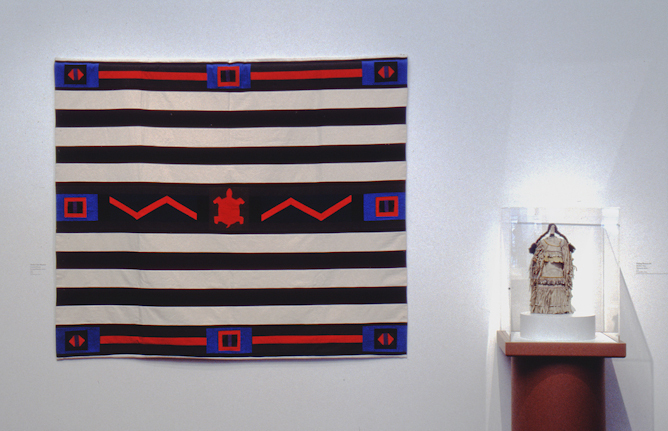 Salem, MA: Peabody Essex Museum, 1996.